Mother Eagle tends to her nest in Fort Myers, Fla. Apparently, humans have been facing off with bedbugs — or at least their ancestors — since the time of sabertooth tigers. A new study from The Journal of Medical Entomology found fossils of bedbug ancestors during an archaeological dig at a cave where humans also lived, dating back thousands of years, to the late Pleistocene Epoch. Scientists discovered 14 subfossils of cimicid insects, said to be ancient relatives of bedbugs, at a Five Mile Point Cave site in Oregon — an area where humans, as well as bats, were known to be living as far back as 13,500 years ago. The remains of these insects are estimated to be 5,100 to 11,000 years old, according to researchers from the University of Oregon and Paleoinsect Research, which analyzes ancient insect remains. 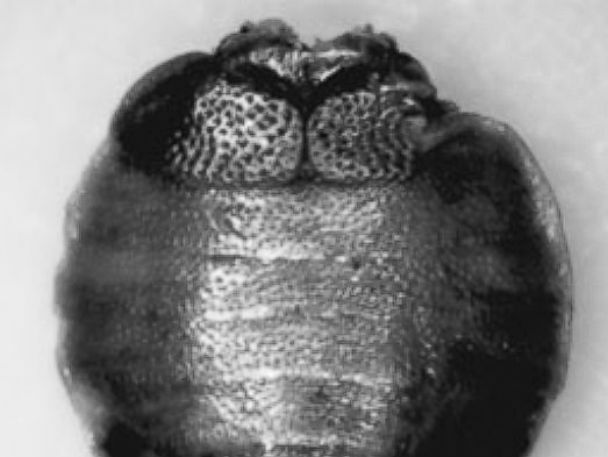 The subfossil remains of 14 cimicids also known as bed bugs were recovered during archaeological investigations of the Paisley Five Mile Point Cave site in south-central Oregon. Three species were identified, all part of the Cimex genus of insects. The most famous living species of the genus is Cimex lectularius, or the common bedbug. But the ancient insects species scientists identified from nine of the subfossils — Cimex pilosellus, Cimex latipennis and Cimex antennatus — were "not the bedbug we all know and love from hotel rooms," Paleoinsect Research's Martin E. Adams, a co-author of the paper, said in a statement today. Instead, the species of cimcids found in Oregon were bat parasites, meaning they probably caused problems for ancient humans only on rare occasion. While other cimcid species made the leap from feeding on bats and other wildlife to incorporating humans into their diets thousands of years ago, the authors said, the species found in this study rarely did. They may have fed on humans if given the opportunity, they authors added, but humans probably never became a main part of their diet. Adams said he hopes the discovery could shed some light on the complex history of bedbugs, especially since humans and bats are suspected of cohabiting in the cave for 11,000 years. "Were the cimicid populations too small to establish themselves outside the caves, or were the host populations too small?" he said. "Given that Paisley Caves was only a seasonal occupation area for human hunter-gatherers, did the humans move around too much, or were the bugs not able to withstand the environment outside the caves for very long? Or were there other constraints involved? I'm working on these last few archaeological questions right now." Before this discovery, the oldest known example of a Cimex species was from 3,550 years ago in Egypt, the authors said. They were also discovered in colonial Jamestown in Virginia. Dr. Chris Gu contributed to this report. He is a radiology resident at the Mayo Clinic and a resident in the ABC News Medical Unit.